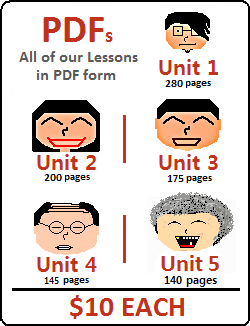 In this lesson, you will learn more ways to abbreviate Korean sentences. 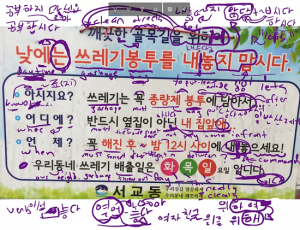 In the previous lesson, you learned about common ways that Korean people shorten their sentences in messaging or when talking on the internet. 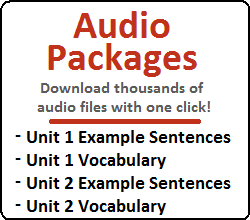 In this lesson, you will learn how to abbreviate conjugations of quoted sentences. Let’s get started. In Lesson 52, you started learning about quoted sentences, and how you can add ~ㄴ/는다고 to indicate that something is said/written/thought. The predicating verb is typically something like 말하다 (to speak), 생각하다 (to think), or some other verb that can indicate that words or thoughts were expressed. That being said, even if the speaker wants to indicate that the quote was spoken in the past, it is still common to use the present tense contraction ~대(요). When using these contractions, you are relaying what somebody else has already said. Therefore, by default, the spoken portion of the sentence is already in the past. As a result, even if you use the present tense contraction ~대요, context can indicate that this quote was spoken in the past. Maybe your son likes bananas now, but when did he say that? In order for you to know that he said it (and to be conveying it as is the purpose of this sentence), you must have heard this in the past. Maybe your friends say that your girlfriend is pretty now, but when did they say that? In order for you to know that they said it (and to be conveying it as is the purpose of this sentence), you must have heard this in the past. 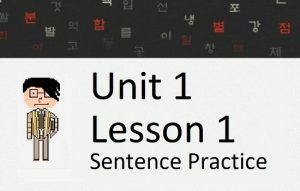 Therefore, although the Korean sentences shown in the present tense shown at the beginning of the lesson are grammatically correct, their English translations could be interpreted into the past or present tense. It doesn’t really matter. These contractions (and the ones discussed below) are very common in speech, but you will almost never see them written, unless it is a direct quote of what somebody said. Note that because of the way these constructions are pronounced (specifically with verbs in the present tense), to an untrained ear they could be very easily mistaken for ~는데 (which you studied in Lessons 76 and 77). This contraction can be applied to 이다, but the rules are a little bit different. Let’s look at this next. Due to the similar structure with quoted sentences with 이다 (Lesson 52) and quoted imperative sentences (Lesson 54), the abbreviated forms of both look very similar. Let’s talk about this next. Again, the final “했어요” in the sentences above are conjugated in the past tense. When abbreviating this, context allows it to often be used in the present tense. I talked about this already in the two previous sections. Before we finish, let’s look at how abbreviating ~자 and ~(느)냐 is done. 밥을 먹자! = Let’s eat! 내일 공원에 가자! = Tomorrow, let’s go to the park! Again, technically, ~자고 했어(요) can abbreviate to ~쟀어(요). When abbreviating this, context allows it to often be used in the present tense. The answer being number (4). 했어 shouldn’t be placed after “먹었대” because “먹었다” already includes this conjugation.